3 Bedroom Detached Bungalow For Sale in Halesworth for Offers Over £325,000. 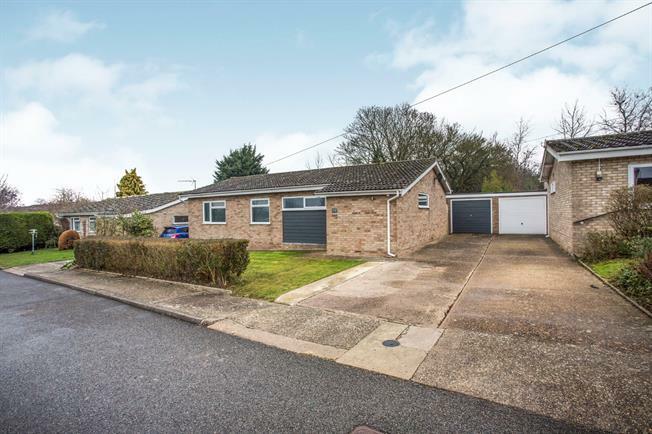 Nestled in a quiet cul-de-sac you will find a spacious detached bungalow that has been stunningly re furbished with a contemporary twist, all within walking distance in to town! Stepped back from the road with a pretty frontage you have a welcoming entrance porch that leads into the open plan kitchen/living room. With a stylish finish the kitchen is centred around the feature island making this a stunning back drop for social dining with the living room boasting bi-fold doors along with under floor heating. The bedrooms sit off the hall with the master suite having a spacious en-suite shower room in addition to the family bathroom. Outside the garden has been laid to lawn with a generous decked area and to the front a driveway with off road parking for three vehicles plus the garage.